FORT MYERS, FL. (August 27, 2009) – Residents of Southwest Florida who would like to learn about resort style retirement options and lifecare, are invited to attend one of several informational meetings at Shell Point Retirement Community. One of Shell Point’s experienced retirement counselors will explain the numerous benefits received when becoming a resident at Shell Point. Tickets will be available for purchase starting on October 5, 2009 and are $10 each. To purchase tickets, or receive additional information about the concert series, please call (239) 454-2147 or go to http://www.shellpoint.org/villagechurch/events.htm . Gifted singer, Damaris Carbaugh, will open the concert season with her unique blending of inspirational gospel music. Damaris is a featured soloist with the Brooklyn Tabernacle Choir and can often be seen on the “Day of Discovery” television program. Her depth of love and devotion to God is so evident through her special gift of song. The Christmas Season will feature a festive celebration with The Village Church Choir presenting original music and arrangements of traditional carols by the gifted writer Joel Raney. A talented composer, creative arranger and gifted concert pianist, Joel will join forces with organist Jane Holstein to perform a variety of styles in sacred and classical music. Joel Raney and Jane Holstein are significantly recognized for their work with Hope Publishing Company. It has become a tradition to begin the New Year at The Village Church with a concert featuring Tim Zimmerman & The King’s Brass. Because of the overwhelming popularity, this year they will present a concert on Sunday evening, January 10. Tim Zimmerman and the King’s Brass provide innovative worship through the “best in sacred brass music.” By teaming together, these Christian professionals from around the United States perform their original arrangements as heard on their eight recordings. For more than 20 years, The King’s Brass have performed over 100 concerts each season with three trumpets, three trombones, a tuba, keyboards, and percussion. Playing a wide variety of music from Gabrieli to hymn classics, from Handel to jazz spirituals, from gospel songs to patriotic marches, The King’s Brass uses all corners of the concert hall to lift hearts and spirits in praise. From our nation’s capital, under the direction of Dr. C. Harry Causey, The National Christian Choir will be in concert at Shell Point. Founded in 1984 by its current Music Director, C. Harry Causey, the NCC is comprised of over 150 singers from more than 100 different churches throughout the greater Washington, DC area. In addition to their live presentations throughout the US and abroad, the choir’s library of recordings are widely received. Also, their weekly inspirational broadcast, “Psalm 95” is heard on over 400 radio stations (including the Moody Broadcasting Network) in every state, all of Canada and beyond. The concert series will conclude with a festive Easter Celebration on Sunday, with organist, Chelsea Chen. A young talent in top form, Chelsea’s playing has been described as “stunning” and possessing “lovely lyrical grandeur” (Los Angeles Times). Chelsea Chen has electrified audiences throughout the United States and Asia. A Juilliard graduate and Fulbright scholar, she is broadening the classical organ repertoire with her own Asian-inspired compositions. In the past year she performed to great acclaim at Singapore’s Esplanade, Hong Kong’s Cultural Centre, and Los Angeles’s Disney Hall. Chelsea recorded her debut CD and DVD, “Live at Heinz Chapel,” on the Heinz Chapel organ. Her playing has since been aired on CNN.com, “Pipedreams” from American Public Media, Hawaii Public Radio, and Taiwan’s Good News Radio. Her distinctive flair and bravado, mastery of repertoire, and command of the instrument will dazzle the listener and show the church’s four manual Allen organ to great effect. FORT MYERS, FL. (August 17, 2009) – Shell Point Retirement Community residents Phil Hilton and Dorothy Causey will be the featured artists at the Burroughs Home on behalf of The Uncommon Friends Foundation during the Art Walk on September 4 in downtown Fort Myers. Art Walk occurs on the first Friday each month. A celebration event will take place on Friday, September 4 from 6:00 p.m. to 9:00 p.m. at the Burroughs Home as part of the monthly Art Walk in Downtown Fort Myers. The Burroughs Home is just one stop along the monthly Art Walk and a trolley is available for the tour. The event is free and parking is available at the Kingston Home nearby. Following the Art Walk, Hilton’s and Causey’s paintings can be viewed weekdays through September 17 between 10 a.m. and 4 p.m. and on evenings and weekends by calling the Uncommon Friends Foundation, (239) 337-9505, for an appointment. Each artist will donate 50% of all proceeds to the Uncommon Friends Foundation. Dorothy Causey’s medium of choice is oil on canvas and she says she enjoys painting what ever crosses her mind on a given day. Dorothy was the 2005 winner of the Angels of the Arts Award for life-time achievement, presented by Alliance of the Art. She was the second recipient of this award. The first person to receive this award was Robert Rauschenberg. The Uncommon Friends Foundation, established in 1993, is a character education foundation whose mission is to instill ethics, moral values and a sense of purpose in tomorrow’s leaders. The foundation is dedicated to enriching society by promoting the positive values author James D. Newton discovered in five unique men and their wives—Thomas Edison, Henry Ford, Harvey Firestone, Dr. Alexis Carrel, and Charles Lindbergh—intellectual giants who helped shape the 20th Century. Additional information about the foundation may be obtained by calling (239)337-9505 or checking the website at www.uncommonfriends.org . Shell Point Retirement Community is a not-for-profit continuing care retirement community located in Fort Myers just off Summerlin Road, two miles before the Sanibel causeway. Shell Point has received national accreditation from CARF-CCAC, and is a nationally recognized leader in the retirement industry. The community offers retirement living in a resort-style environment with an 18-hole championship golf course, deep water boating access, and recreational and fitness facilities. To learn more about Shell Point Retirement Community, visit www.shellpoint.org or call 1-800-780-1131. FORT MYERS, FL. (August 7, 2009) – Shell Point Retirement Community was recognized recently in the publication, America’s 100 Best Places to Retire 4th edition. This book serves as a guide to today’s most popular retirement cities, and includes retirement destinations across the United States. 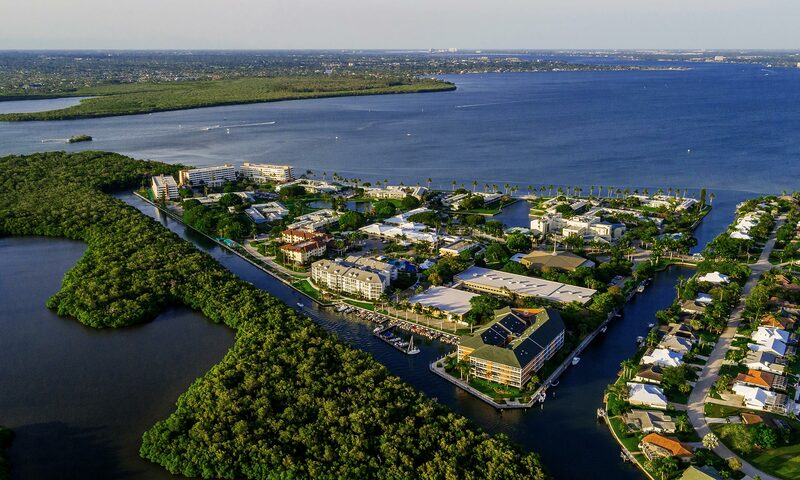 Fort Myers, Florida was included in the list of 100 cities considered as a “best location to retire”, with mention of Shell Point as a retirement community to consider. FORT MYERS, FL. (August 5, 2009) – Shell Point Retirement Community has many surprising features that the public may not be aware of, and on Tuesday, August 4, the organization’s communications team opened its internal award-winning television studio, SPTV, to visitors for behind-the-scenes tours. More than 250 guests toured the studio facility during the SPTV Open House where they were able to view multiple sets, observe demonstrations of technical video and editing equipment, and meet the staff who write, shoot, edit and host the various productions created for SPTV, including a daily half-hour show called Shell Point Today. “SPTV is just one of many examples of how Shell Point is breaking the mold when it comes to retirement communities,” said Lynn Schneider, assistant vice president of marketing and communication for Shell Point Retirement Community. “We decided in 2005 to create an on-site television studio and a daily television program to provide residents with information about the daily activities here on property, but it has become so much more than that. This informational program has grown to a 30-minute daily show with community news and information, interviews conducted by and about residents, special education and entertainment segments, and stories that give our audience a glimpse into the lives of others living and working here. Each day’s show is like a slice of life at Shell Point,” she added. A recent “Extreme Makeover” renovation transformed the SPTV studio, and Shell Point residents were the first to receive a backstage tour. To accommodate the number of residents who wanted to see the studio, five tours were scheduled throughout the day and SPTV staff members took the residents in groups of up to 50 through the studio facility. “This was a great way for us to interact one-on-one with our resident audience,” said Rochelle Cherniawski, communications coordinator for Shell Point. Cherniawski was one of several staff members on hand to discuss not only the TV studio, but other communications initiatives of the community including the monthly magazine Shell Point Life, and the two websites hosted by the organization for the public and the residents. Following the resident tours throughout the day, the Shell Point team shifted its attention to guests from outside the community. Visitors from local businesses and the media, as well as community leaders, were provided tours of the facility and a demonstration of numerous programming highlights. In addition to a tour of the studio, these individuals were also provided information about Shell Point and its various services and amenities. A 30-minute narrated bus tour of the community was also available for those interested. The initial launch of SPTV in 2005 left many facets of the television operation in need of further development; however, managing, writing, filming, and broadcasting the daily show required constant attention, leaving no time for process improvements. For several years, the studio’s responsibilities grew to include broadcasting the daily show, plus live services from the church on Sunday mornings, filming special events and concerts, and creating training and corporate videos for staff and management. To maintain pace with the growth, the Marketing and Communications team decided to take a one-month hiatus to overhaul the studio and install improvements that would help take it to the next level in production capabilities. The entire communications team participated in benchmarking trips to all four of the major network stations in Southwest Florida (ABC, CBS, NBC, FOX) and the local PBS affiliate at Florida Gulf Coast University (WGCU). At each station the team toured the studio facilities, met with various staff members, and witnessed live broadcasts. The tours provided the team with insights into production, equipment options, lighting and sound, and numerous set design ideas for the revamp of the studio. Perhaps the most challenging aspect of the hiatus was the task of transforming the studio from a black room with minimal lighting, mismatched furnishings, scattered set design pieces, and one area open for filming, into a more professional studio space. Estimates from set design companies were too expensive. So, instead of hiring a professional set design firm, the team netted substantial cost savings by completing each step of the redesign in-house. Utilizing ideas from their benchmarking trips to network studios, the team took measurements of the space, formulated their own design plan, strapped on their tool belts, and picked up their paint brushes to get the job done. The group worked together with help from friends and family members to paint the studio and build the sets. Each element was installed by members of the communications team who worked weekends and nights to complete the basic design, construction, and painting of a majority of the sets in just three weeks. In addition to creating permanent sets, a lighting grid was designed to pre-light each set, and additional light kits were ordered. When the lighting kits arrived, the SPTV crew installed the lights to provide instant lighting for each set with the simple flick of a switch. During the hiatus, the team also worked together to investigate and test new reporting and editing styles and a new format was created to include two anchors delivering the daily news at the opening of the show. And to keep it fresh, a team of four men and women began rotating as anchors on a weekly basis. Prior to the hiatus, a great deal of content for the show was derived during monthly communications meetings attended by representatives from all of the departments at Shell Point. This organization-wide involvement continued to be important to the show’s success as information was exchanged about upcoming events and activities. This group helped brainstorm topics that would be of interest to Shell Point residents and sought additional ways to improve the content of the show. Plus, resident volunteerism increased as additional opportunities were created behind and in front of the cameras such as shooting at community events, interviewing, recording voice-overs, studio organization, and much more.